Does Irish Brown Bread Really Come From Ireland? Irish brown bread is that gloriously chewy, nutty, slice of dark perfection served with a deeply rich seafood chowder or a bowl of beautiful prawns. To me, Irish brown bread is also known as the food of the gods. 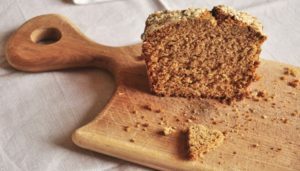 Slathered with Irish butter and chewed slowly, the flavour of the bread complements virtually anything it … Continue reading Does Irish Brown Bread Really Come From Ireland?